We have had an amazing run here up on the hill for over 36 years. 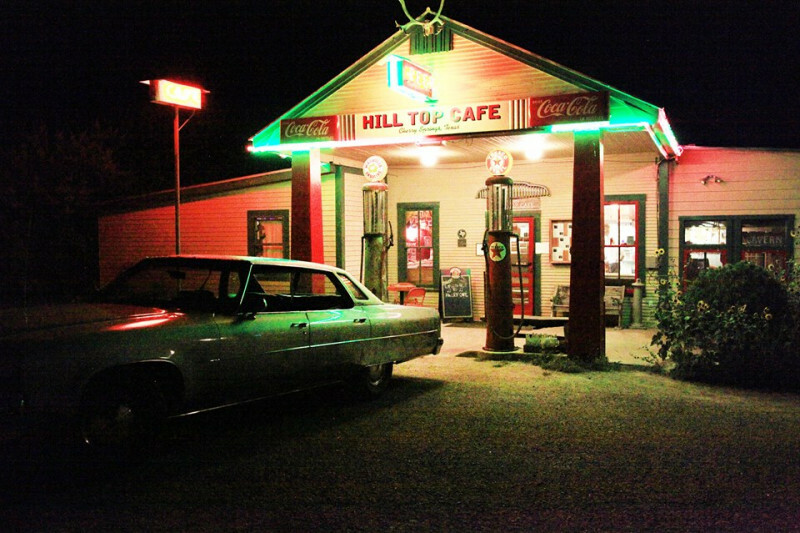 Through all the great food, music, friendships, and also the tough times and tragedies, Hill Top has always been an oasis, both from a culinary and musical standpoint. While there have been many ups and downs in slowley but surely building Hill Top into a world-renowned establishment, we now face a threar that is beyond our control- something we can't fix with hard work or creativity. Our ongoing battle over our water system is putting a strain financially on Hill Top Cafe and we are asking our friends, family and patrons of Hill Top Cafe to help us to continue the fight for our very survival. Our goal is to raise $35,000, although it will cost a lot more if this goes full circle. Thank you for your support and help in keeping this beautiful Texas landmark alive. Could you please explain what the "battle over our water system" is about. Thanks. This is total bureaucratic BS. My wife and I are coming down from the Dallas area next week and have reservations for next Thursday, August 24th (dinner/ Gary Nicholson). Kayla was very helpful setting up this reservation. Saw this issue on your web site and wanted to kick in for the "cause". See you next week. Hope this contribution will help and hope to see you soon! Have to save Hilltop!